Issued Apr. 8, 2014, to Nintendo Co., Ltd. 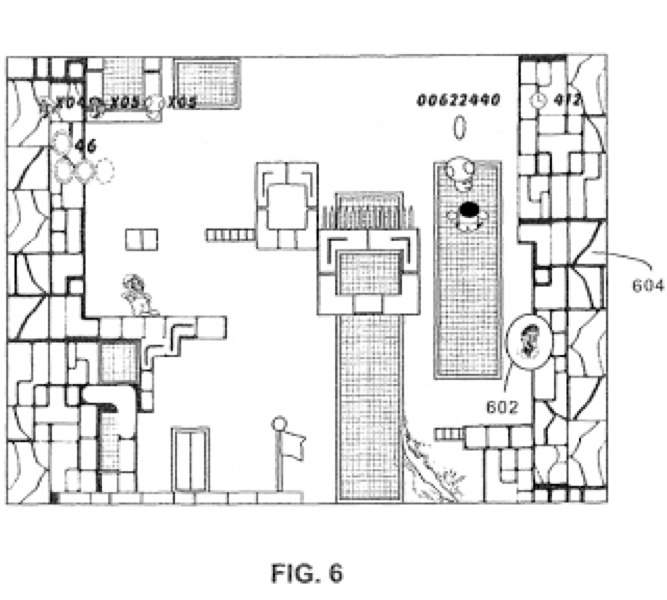 The ‘653 patent covers multiplayer games in which each player controls a separate character and, under certain conditions, a character may become invincible. Each player uses a separate controller. While a character is invincible, the character responds to a different control scheme than when a character is susceptible to damage. 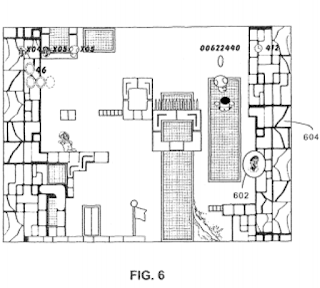 Example systems and methods relate to a video game in which multiple players each supply inputs to a respective input device to control a corresponding game character in a game world. Movements and actions of each game character are controlled in accordance with respective first game character control operations during the playing of the video game. If one of a plurality of conditions is satisfied by one of the players, the one player’s game character is protected from harm in the game world. Movements and actions of the protected game character are controlled in accordance with a second game character control operation. The protecting of the one player’s game character is stopped in response to one or more protecting stopping conditions, whereby the game character is again controllable in accordance with the first game character control operation. stopping the protecting of the one player’s game character in response to one or more protecting stopping conditions, whereby the movements of the one player’s game character in the game world are controllable in accordance with the first game character control operation for that game character.